I haven’t gotten out to detect for the last couple days so I turned my attention elsewhere. A few nights ago I hunted a private residence for about 20 minutes. I dug a pretty cool relic, here is the story. I had a very strong mixed signal at 8 inches. I dug my first plug and didnt get a chirp out of the pinpointer. I carefully worked my way deeper with my Lesche. I finally started to get some feedback from the propointer. In the bottom of the hole was my first ever dug knife. Upon inspection it looked pretty poor so I through it in my pocket and headed home. Once I got into the light I could tell it had some German writing on it. I also found markings on the blade. After a rinse I could make out the markings. 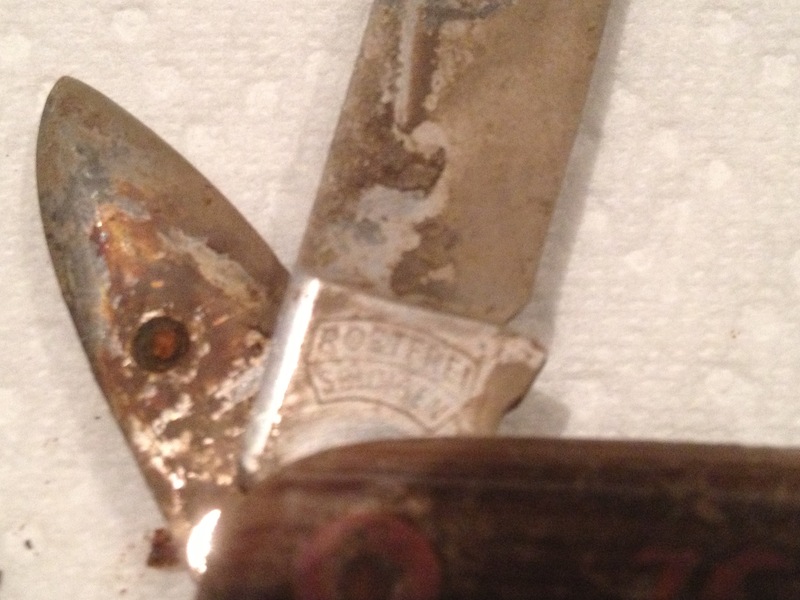 One blade carries a K55 followed by a backwards K. The other blades say Rostfrei. An evening of google searches led me to believe that this knife was produced by Kaufmann and Sons in Germany who produced knives between 1865 and the mid 1990’s. A little more digging and I found a couple exact matches that were dated mid 1900’s. 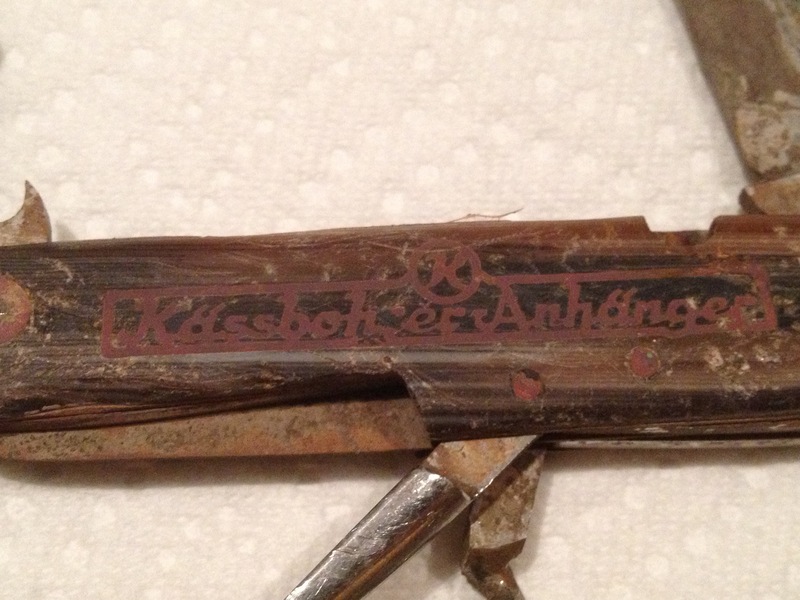 I was telling a co-worker about this knife that was in horrible shape but kind of cool. It automatically sparked his interest. I plan on gifting this to him so he can enjoy it. 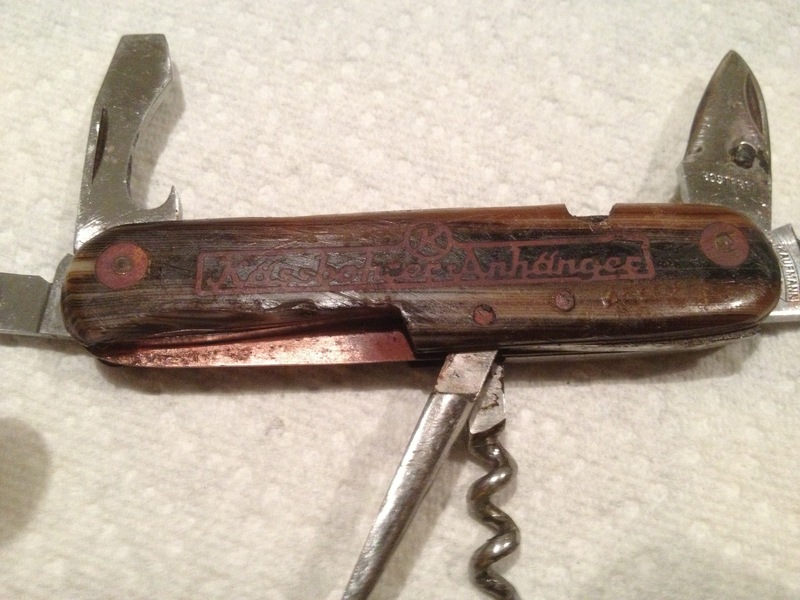 After a bath, rust remover, WD-40, and a sharpening this knife is ready for duty. 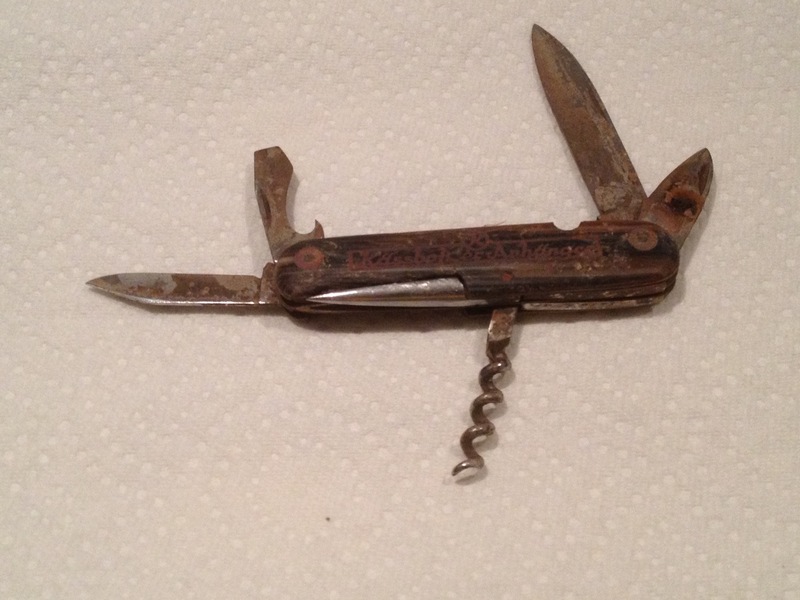 Speaking of duty I can only guess that this knife came home with one of our many servicemen that served in World War 2. I would like to say thank you to all of our military for keeping us free! 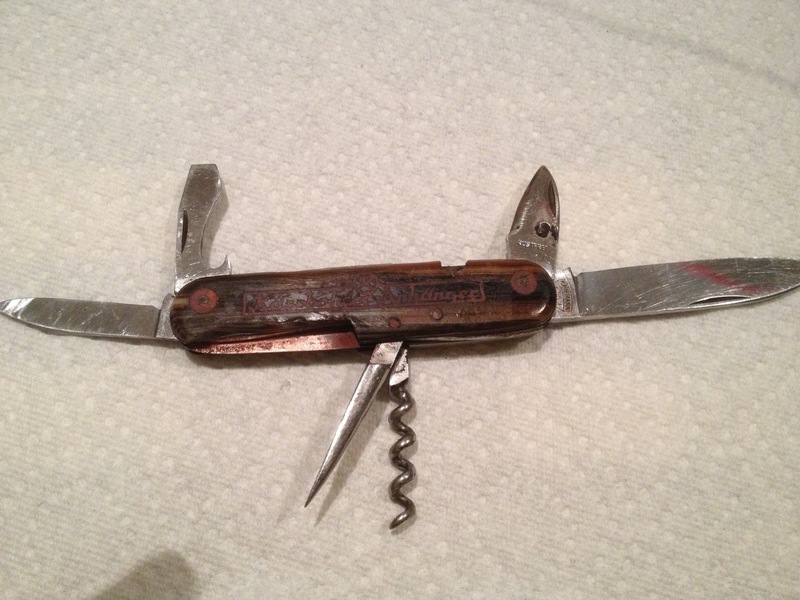 Below are the before and after photos of the revived knife. Happy Hunting and thanks for looking! I want to talk about the Grrrrr factor of detecting. I have been hunting a site lately that is just frustrating. This particular site was a homestead between 1915 and 1995. For eighty years it was lived in by 3 different families. It should produce silver coins right.. Well I have detected this site for a total of about 8 hours over the last month. I have dug maybe 10 coins and none of them are older than a 1969 memorial penny. I have dug all kinds of home, garage, and farm items there. I have talked to a gentleman who lived in the home as a kid in the 1940’s and he helped me locate the yard. It is an interesting site because all items regardless of size and shape are at 5-6″. 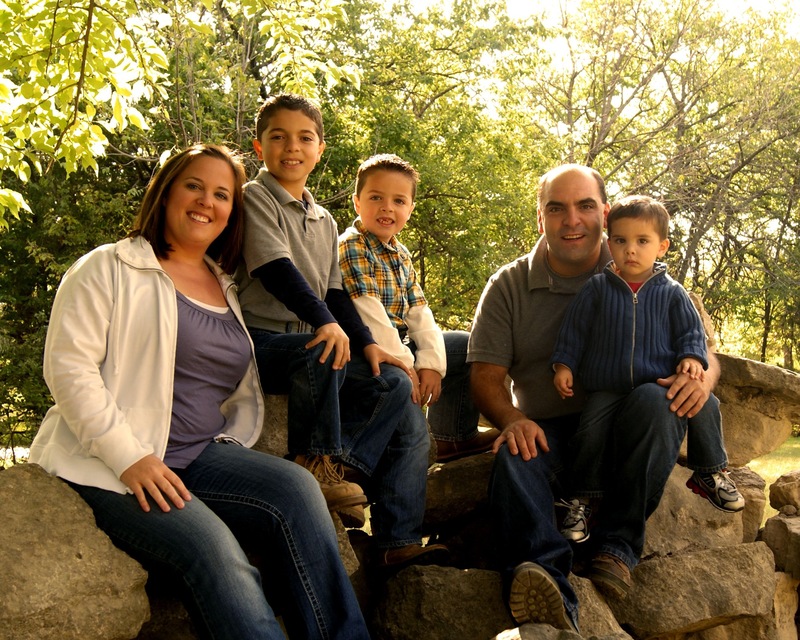 Since 1995 the land has been owned by a church and they use it for outdoor services and other events. So how much time do you invest in a site that should produce silver but doesn’t? I can tell you that I’m about to throw in the Lesche! Well this weekend I was down and out with a serious sinus infection. I was supposed to attend an MSF class on Saturday which I missed due to me feeling like a zombie. 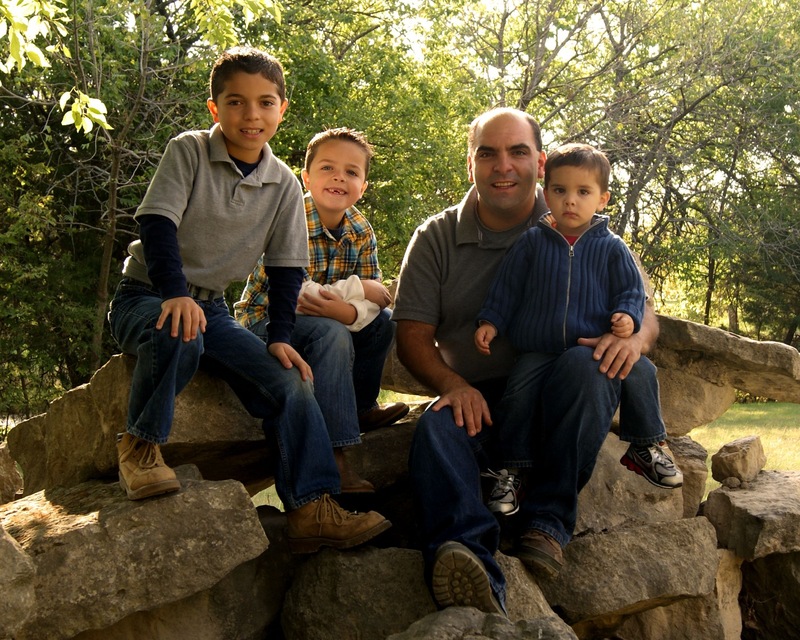 Today I was feeling much better and the family got out and took some photos. Mid afternoon I met up with PulltabMiner and we hunted for a couple hours. The first location we hunted I found 4 wheat pennies and the lovely lady liberty. We switched locations. Hindsight being 20/20 we should have stayed at location #1. We detected for about an hour and neither one of us dug a coin. I did manage to find a couple old shotshell heads. 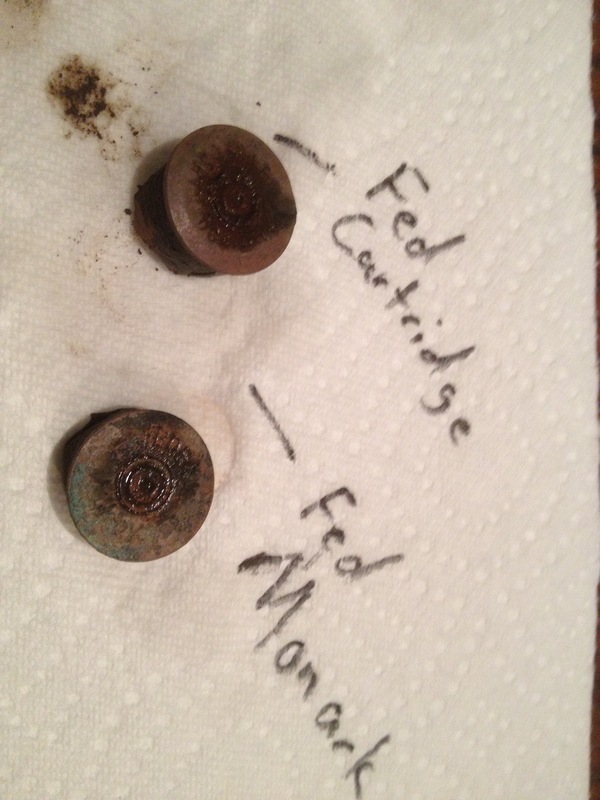 One of them was a Federal Cartridge and the other was a Federal Monark. From what I can tell the Monark was used between the 1920’s and 1940’s. All in all it was a good day! Well today over my lunch break I got out to hunt. I decided to hit some curb strips in an older (1906) portion of town. I had dug quite a few zincolns and then I dug a nice silver. The Garrett Ace 250 sounded off a nice belltone. 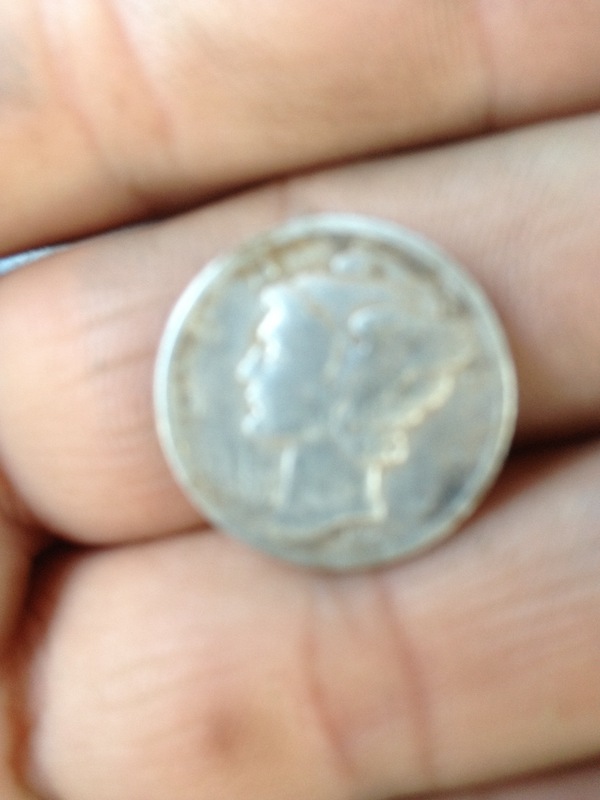 I dug about 3″ and out popped a beautiful barber quarter. I was ecstatic and surprised! 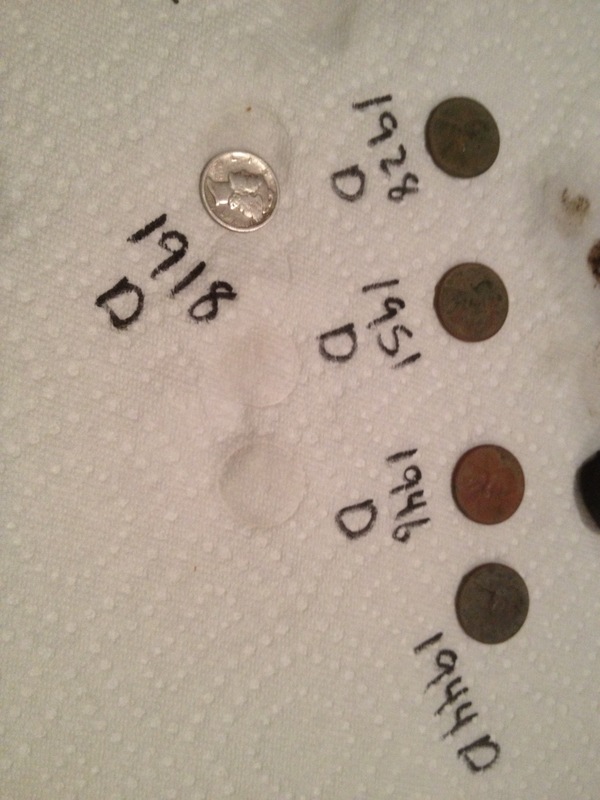 I continued to hunt and found a 1919 wheat penny and a 1945 wheat penny as well! Well tonight I decide to hunt the curb strips in the older part of town. My particular location was a curb strip that is the main road between a neighborhood and the schools. The finds were few and far between and lacked precious metals. 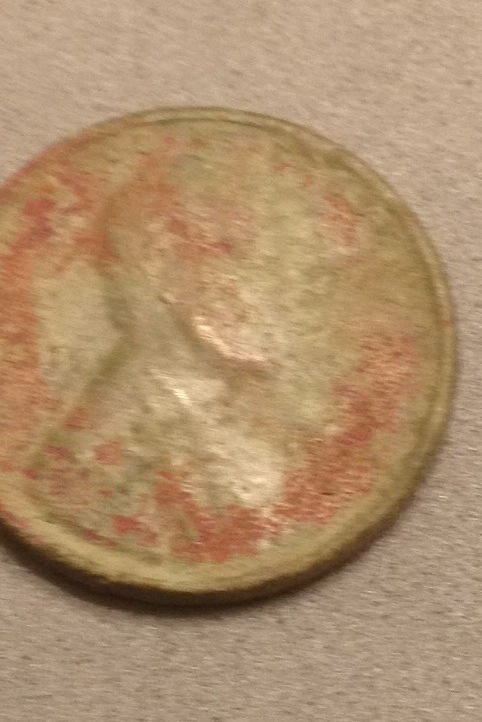 The only keeper I found was a 1912 wheat penny. I am certain that my finds are directly related to my lack of concentration. My youngest boy will be 2 in October and he loves to go tecting with me. He has two modes while detecting hands on or very distant observer. Both take my focus away from what I am doing. I will take the lack of precious metals if it means quality time with him! He definitely know how to curb my enthusiasm! Well today I observed a motorcycle safety class as part of my Ridercoach duties at Motorcycle Training Specialists until right around noon. At about 5:00 I got out for some swing time with the Ace. I tried a new spot that I recently got permission for. I dug a ton of trash and one very cool bracelet/anklet. 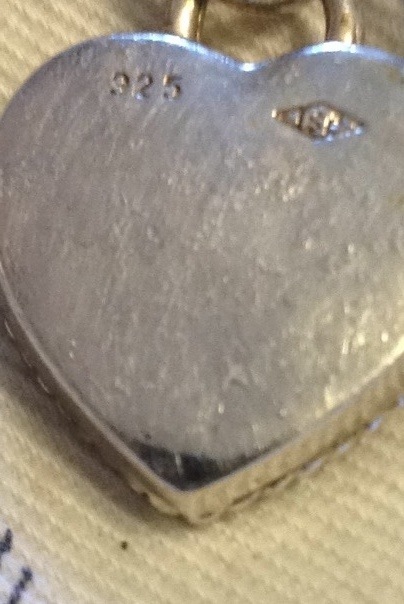 The pendant is marked .925! I then went driving around rural Butler county and found a homestead that looked original and true to the tun of the century. There happened to be a gentleman cleaning out his bass boat so I asked if he would mind me detecting. He granted me permission and I got to swinging! This place has a huge yard, tons of outbuildings, and trees that are well over 100 years old. I know this because once the homeowner finished tidying up his boat he joined me on the hunt and told the farm has been in the family for the last 80 years or so. The property is very cool and includes a wooden boxcar from a set of tracks that used to neighbor his property. I only hunted for about an hour and pulled a 43 merc, a 40 merc, and a 1920 wheat penny. The homeowner mentioned that he had seen people detecting before but never really knew how it worked. He seemed quite impressed with how well I dug my plugs and left the area clean. I took that as a huge compliment because that is something I strive to improve. He didn’t seem impressed that the Ace doesn’t tell you “exactly” what it is your digging. I told him that if there was such a detector it would take the fun out of the hobby! He saw me dig enough trash that I wonder if he would get into the hobby. All in all he was a very neat guy and it was a pleasure listening to his stories of the property! He invited me back anytime as long as I call first! Now I need to figure out where the indians, barbers, and seated coins are. I’m pretty certain they are in the Aces capabilities but would like to confirm it! It was an absolutely gorgeous evening to get out and metal detect. The location of choice was a turn of the century church. This location is where I have dug several old wheat pennies. I was only able to spend about 40 minutes there today. This is probably the most iron infested site I have ever hunted. It seems as though every swing is a solid iron signal. This has worked on my patience while detecting. Low and slow, very slow is the only way to get any target separation. 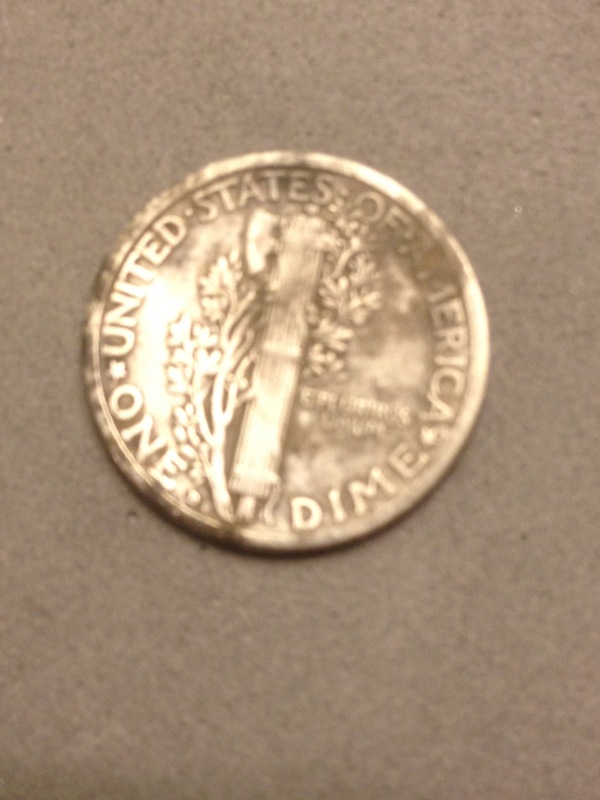 My first good signal was a 1920 mercury dime. 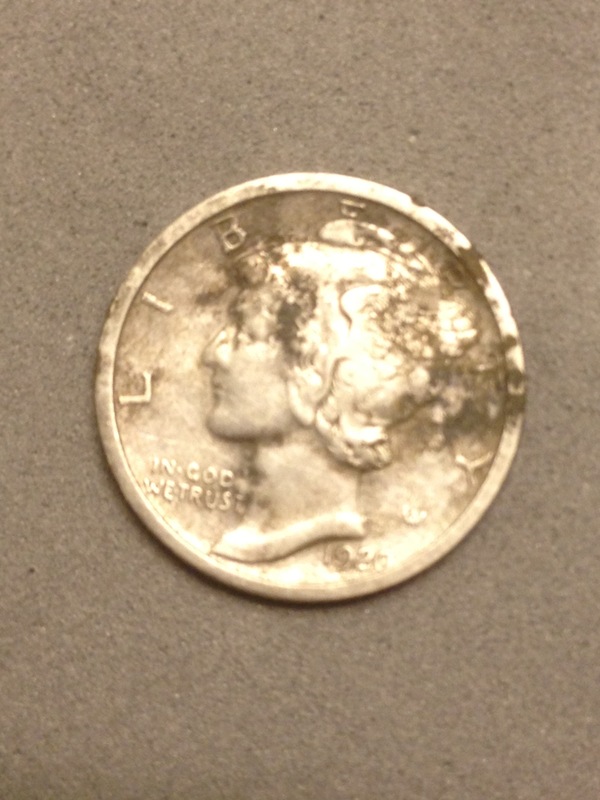 This beautiful coin shows the signs of the iron infestation. The next keeper was a 1914 wheatie. I was stoked because I know the early wheats can have some value. When I got home I looked up the value of a 1914 wheat. 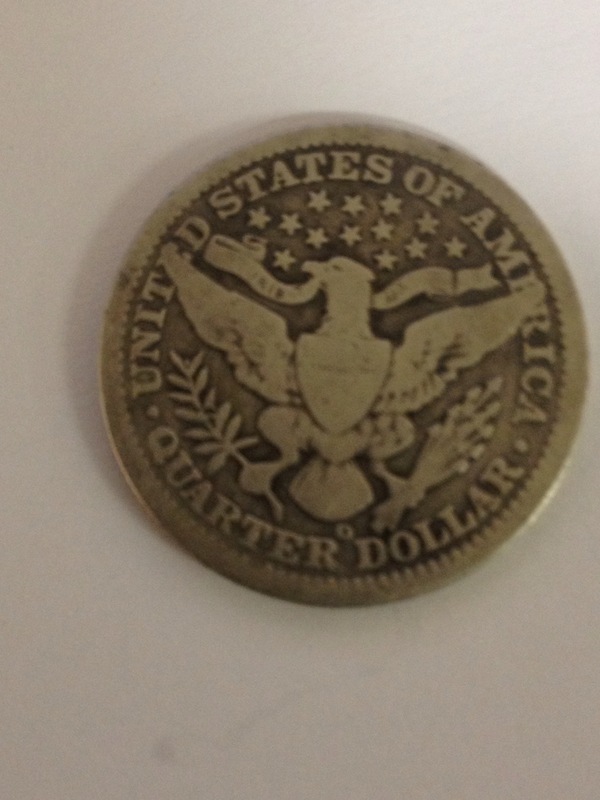 I was ecstatic to see the value of a 1914 D and dashed back to my coin to check the mint mark. 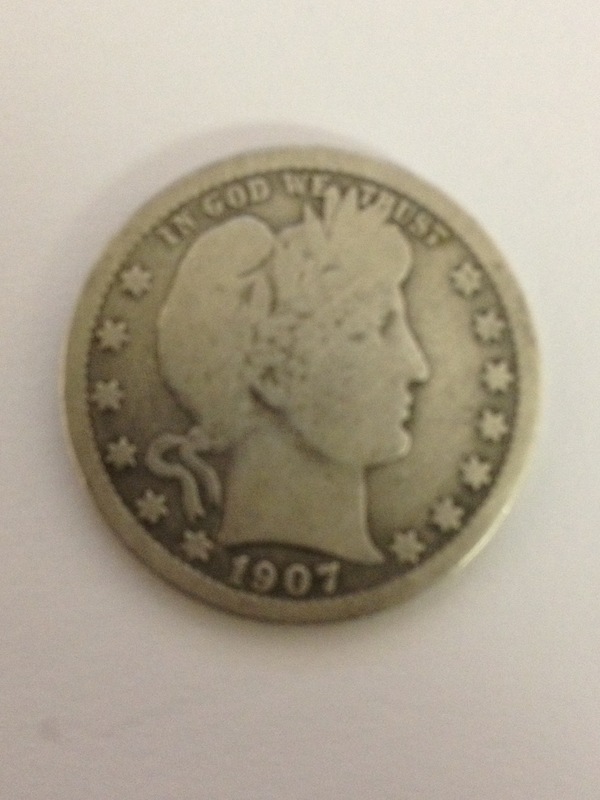 While observing the D mint mark with my loupe I was excited until I looked closer. It is a 1934… Deflated but not defeated! Hello from the wheat state! Well I have been on a few hunts lately. 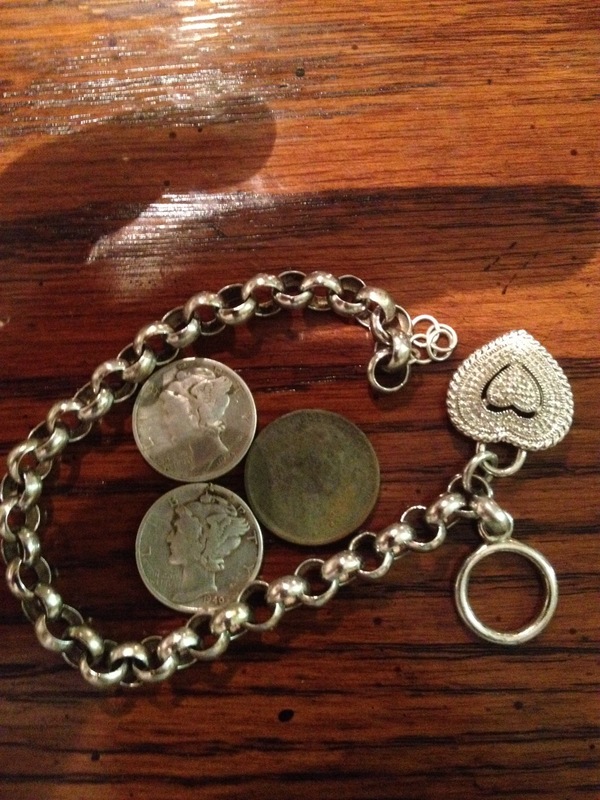 The silver coins haven’t been making their way into my finds pouch. I have had a mixed strategy for my recent hunts. The results have been several wheat pennies. I love wheat pennies and believe silver coins and wheat pennies go hand in hand! This is the term I use for going random places. Specifically older parts of town hunting curb strips. These are generally very trashy so I am being selective about my digs. 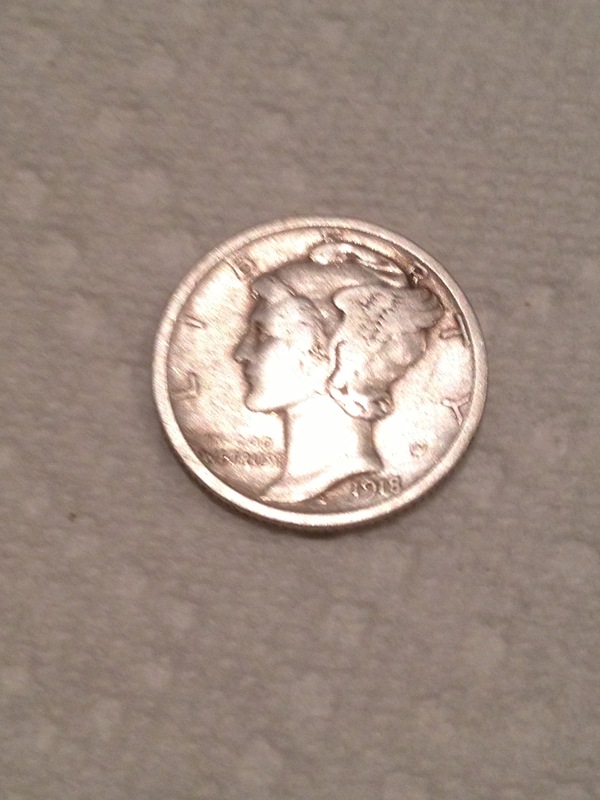 So far I have found two silvers this way. Lately just wheats though. This is my new favorite kind of hunting. Asking home/business owners for permission. I have learned that these areas aren’t as trashy and still hold some goods. My newest venture is a turn of the century church that Has produced 4 coins. 3 wheat pennies and 1 memorial. Two of the wheat pennies were from 1920 and the other was a 1949. There should be silver there. Iron deposited evenly throughout makes target separation tricky! I’m wondering if higher end detectors with adjustable iron masking helps? Well today marks an acheivement in my metal detecting career. Today was my first multiple silver day. With the sun shining and a perfect 74 degrees I decided to hunt over my lunch break. I went what I call “freestyling” this means I was hunting curb strips in the oldest part of Wichita. 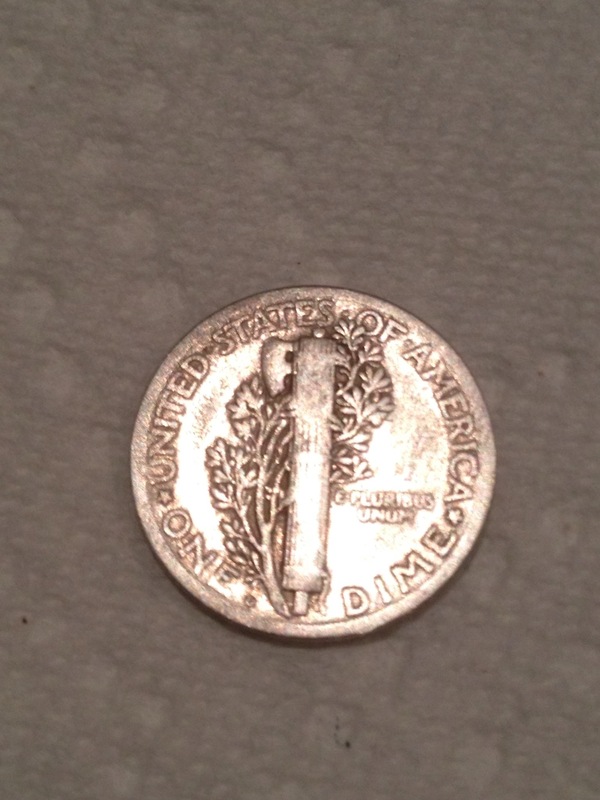 First target I dug was a 1962 Roosevelt dime. Second, a 1940 wheat penny. I then hunted for a bit and found some odds and ends. Two items were small and deep which makes me have faith in my machine yet again! One is an old hat pin and the other is an old button. On the way back to the truck I dug two more wheat pennies a 1944 and a 1940. After dinner my oldest boy had soccer practice. I took this opportunity to go see my new buddy John. He is the older guy that has seemed quite interested in our hobby. His grandson had purchased a Bounty Hunter Tracker IV a few years ago and they were not impressed with it. He had told me that he got it from his grandson and may tinker with it. Knowing that John doesn’t have access to the internet or television for that matter I decided to print him off an owners manual for the Bounty Hunter. I wasn’t planning on hunting there this evening with Kolton being at practice. John started asking questions about swing patterns so I had to demonstrate. 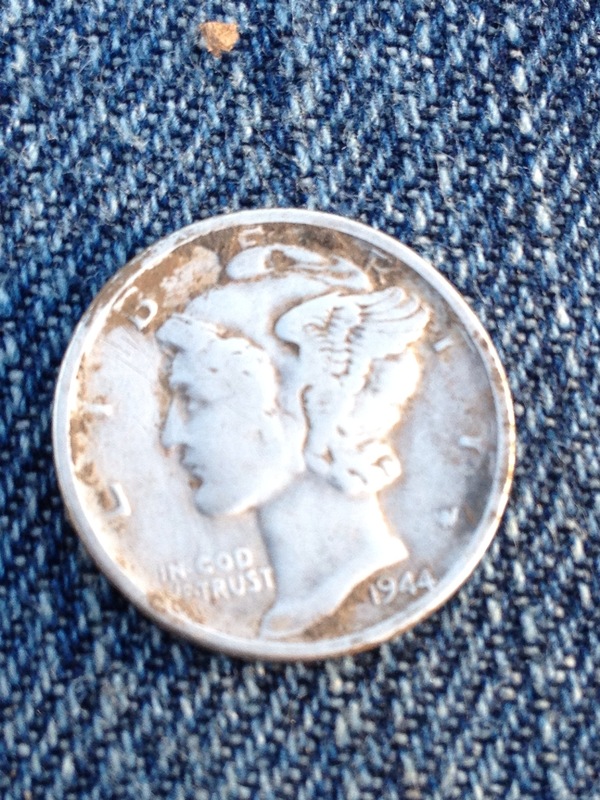 During the 15 minute exercise I dug a couple memorials and a 1944 mercury dime. Johns face lit up when he saw the shiny stuff come from 4″ down. I have a soft spot in my heart for elders and he is no exception. Every time we part ways he says “God be with you and your family”. Now I don’t think he is a saint or anything but it is nice to hear these words. Why? It just doesn’t add up! Well this morning I was hunting a home from the early 1900’s. Kolton and I had been detecting for about 20 minutes when I got a good deep signal. I dug a mason jar lid at about 10″ down. Then another. 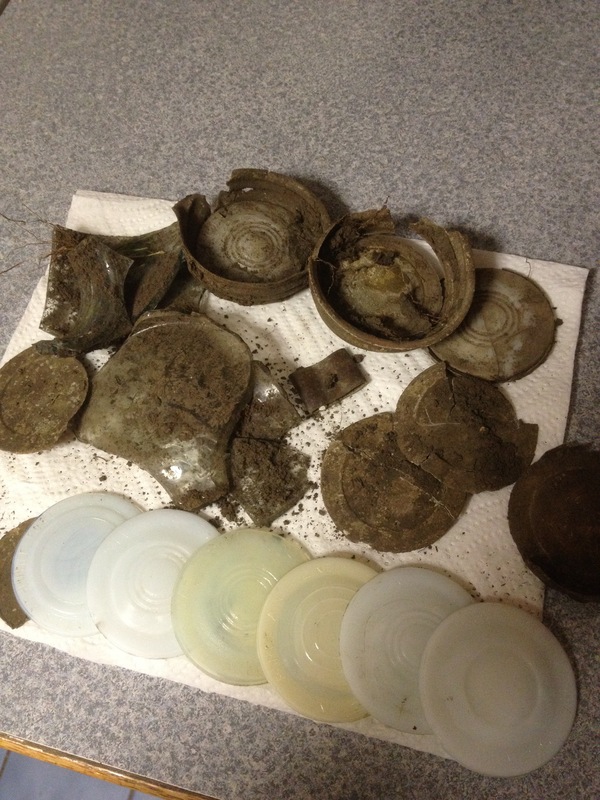 We ended up digging 8 mason jar lids. There were many broken mason jars around as well. We continued digging, detecting, an pinpointing until the area was clear. We ended up with a hole about 18″ deep without coins. Why would these jars be here? Did they have coins in them at one time? Who buried them, how long have they been there? 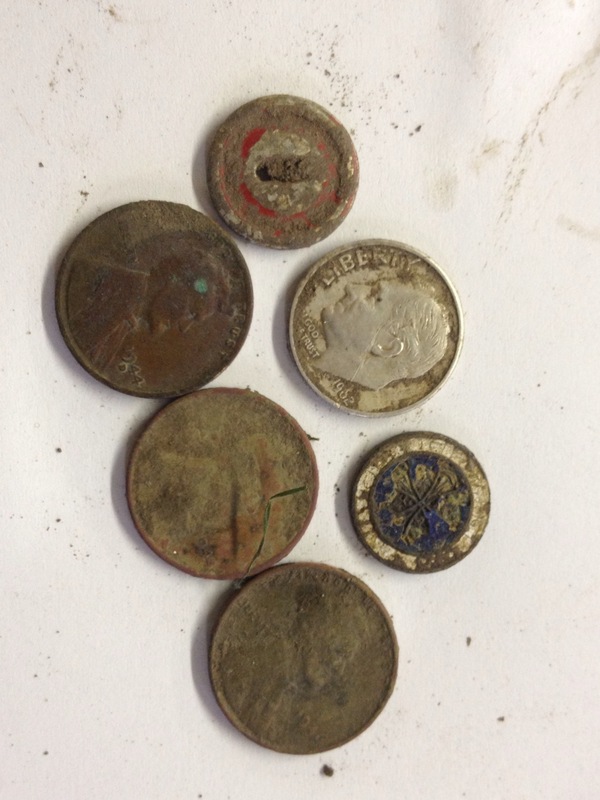 Once we got our hole filled and leveled off we went on to find a wheat penny from 1940. Later in the day I went on to hunt another property. I dug many coins from the late 50’s- mid 60’s without silver. Both of these circumstances were kind of frustrating. The properties should hold silver and neither was giving it up today. 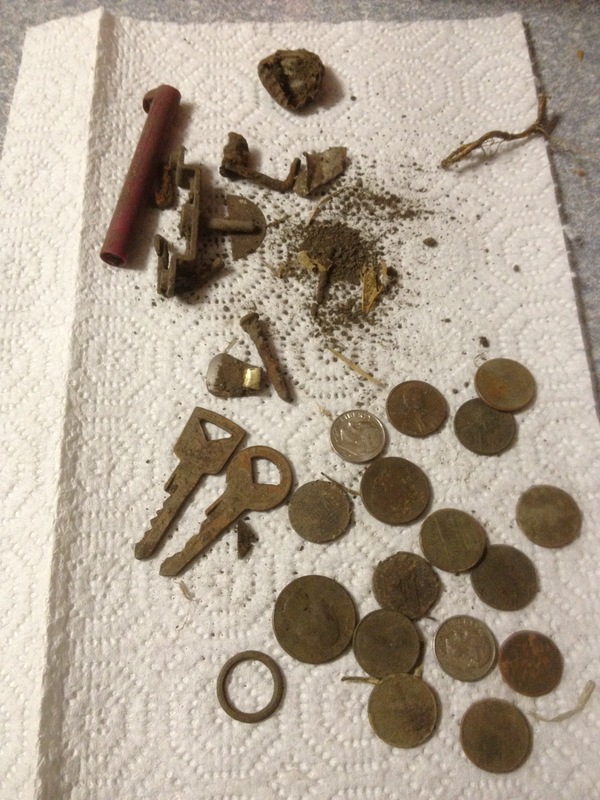 I have gotten to know an older gentleman in town who is pretty intrigued by metal detecting. He tagged along with me this evening and we talked metal detecting, politics, and religion. He seems like a great guy who has many of the same views as myself!